-SG- Due to their comparative scarcity we have not had many postings on the early (1929) CJs, and now, we have news of three, all in the space of a few days! 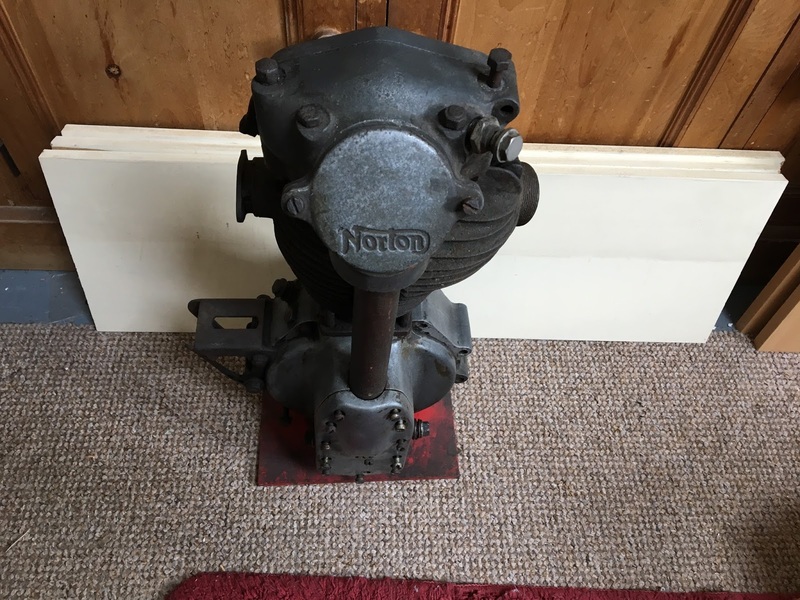 In chronological order, Ian down in Devon has added a restored '29 CJ to his Norton collection. It appears to have been fitted with later Norton girders but looks very usable. It is, nevertheless, a matching numbers bike despatched in April 1929. 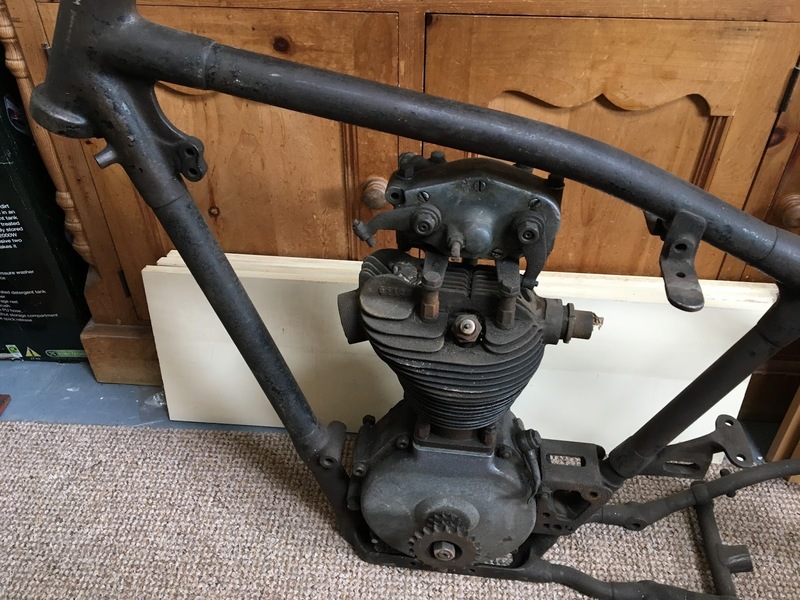 Then Michael has sent in photos of his CJ which has appeared on the site before, when he acquired it in an incomplete state several years back. He has gone to considerable trouble (and doubtless expense) to bring the bike up to the state it probably was in when it was first shipped to Holland. This included obtaining a set of the enclosed spring Druid forks to replace the Webbs which were fitted when he acquired it. The very handsome oil tank - if new - looks to be a very good copy of those fitted to the works bikes at the time. If original, then how lucky to find it! And finally Tony has acquired a CJ project with one frame and two engines plus the necessary extras to put one bike together. He has sent photos and numbers. 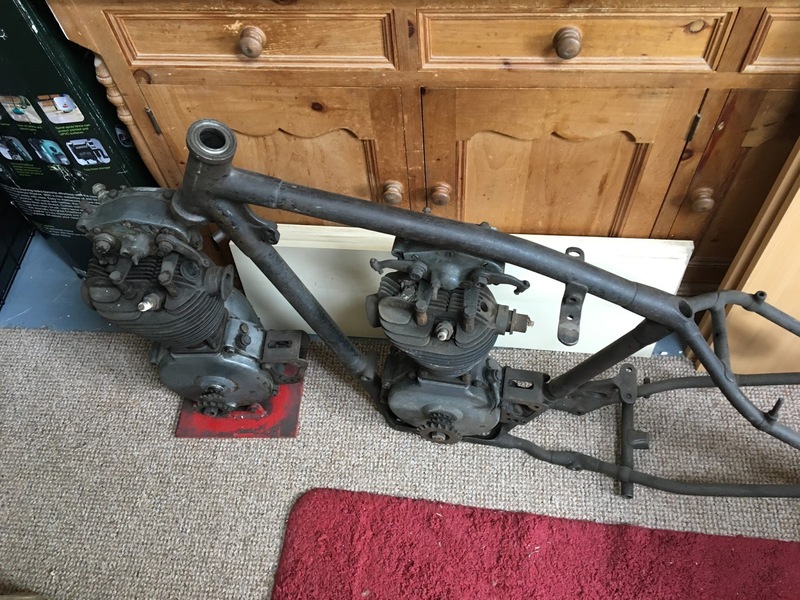 Strangely enough neither engine started life with the frame, which seems to have been part of a CJ sent to Europe. The consignee's name - T Mielmann - is hard to read so may be incorrect but was perhaps in Germany, Austria or Switzerland.